The hotel seems that is named after ELECTRA the famous princess of Mycenae, daughter of King Agamemnon and Queen Clytemnestra. Mythology relates that she had helped Pylades and her brother Orestes kill Clytemnestra and Aegisthus (their mother and her lover). 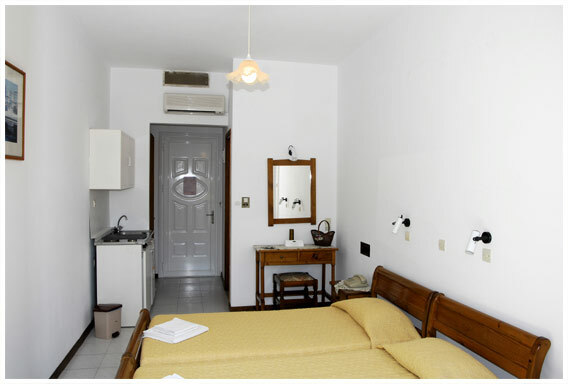 Nevertheless the true story is that the hotel is named after the owners mother whose name is ELECTRA as well and she is the one who guarantees the personal and friendly touch of this cosy family run hotel. 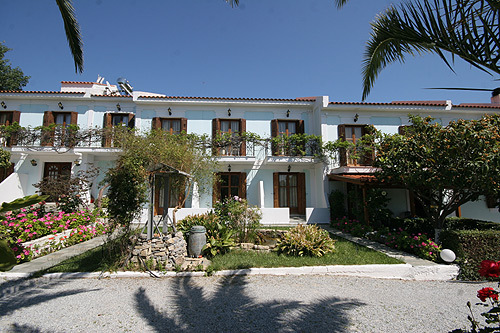 The Electra Apartments and Studios is located in Pythagorion the most famous resort on Samos island GREECE in the East part of the Aegean Sea next to Asia Minor. 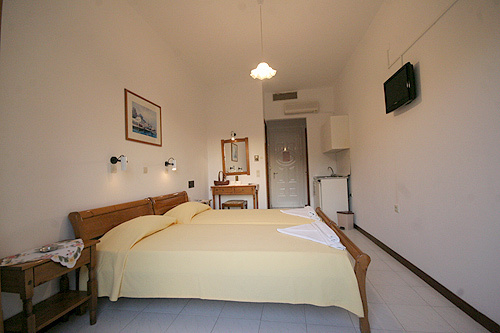 Since the hotel is set at the quite east side of Pythagorion, 1.5 km far away from towns noise, on a hill close to the Yachting Marina, is the perfect choice for those guests who do not want to live in towns centre but want to get all what the charming town gives to its guests. 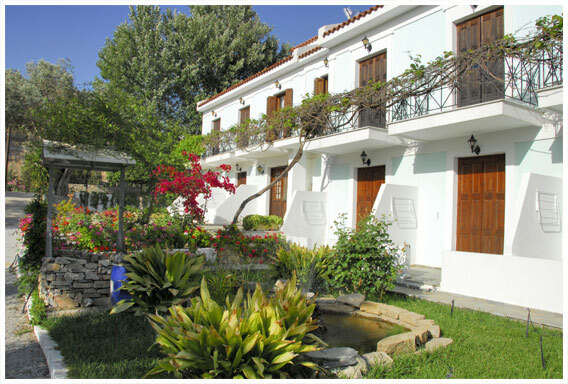 Least but not last the Electra Apartments and Studios is the best choice for anyone who thinks of a low budget holiday on Samos to meet quality and more of all service. 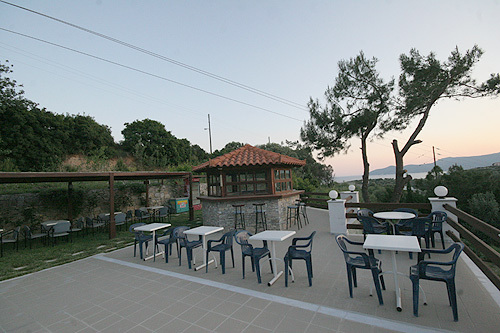 The category (A) apartments boasting nice views of the bewitching Heraion Bay and the surrounding lush area full of pine trees and olive groves. 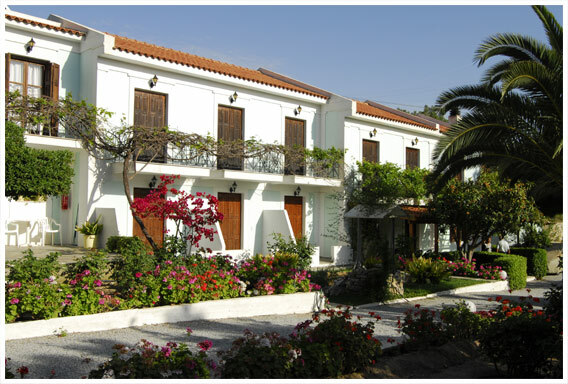 The Electra Apartments and Studios style follows the traditional architecture of Samos built in a six square kilometre garden, where islands nature meets Pythagorions cosmopolitan atmosphere. 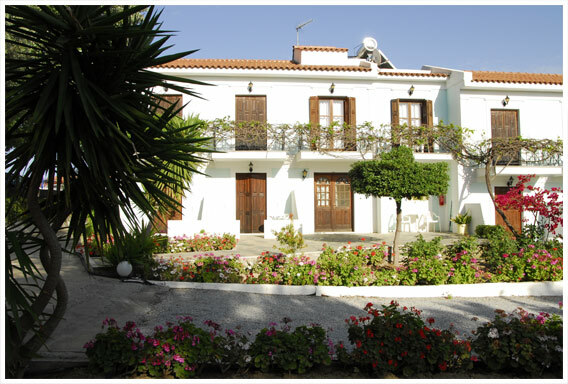 The all area is covered by beautiful Aegean-sea beaches with pebbles and sand. Local attractions nearby the hotel include the just a step away (500m) amazing Proteas beach with crystal – clear blue water and a little longer (600m) the breathtaking Glikoriza sandy beach, the charming and cosmopolitan Pythagorion Harbour (2 Km), the Efpalinus Tunnel (2.5 Km), Spiliani Monastery (3 Km), and the Heras temple (7 Km). Driving by car from ELECTRA Apartments and Studios to Samos Airport it takes 8 min and up to Samos Town Harbour it takes 20 min. The way back to the Hotel will take you approximately 20 min if you choose to go on foot as it is through a walking path up the hill. 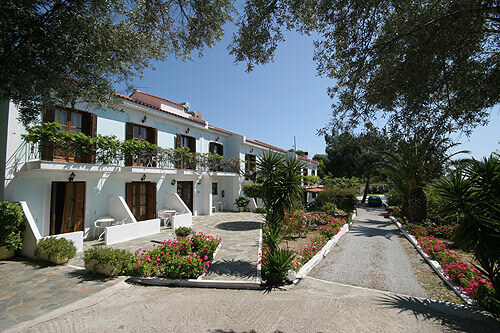 The tranquil surroundings and ELECTRAS famous service is the guarantee for unforgettable vacations on Samos island.